The Samsung Galaxy S II, also known as the geeks' champ, will soon get updated to Android 4.1.2 Jelly Bean! Samsung has reportedly initiated the roll-out process in Spain, so other countries are expected to start receiving the update soon. Thankfully, this update will bring the new TouchWiz Nature UI to the GS II. Until now, the handset was stuck with Samsung's old version of TouchWiz, which was much less appealing. The new software will not only look considerably better, but will also introduce some cool features like Smart Stay - the ability of the front-facing camera to detect if you are looking at the screen in order to determine whether to allow the handset to go to sleep mode or keep the display on. Another major benefit of the Jelly Bean update will be Project Butter - a set of performance improvements that will make the interface noticeably faster and smoother. Are there any PhoneArena readers left who are still rocking a Galaxy S II? HTC do something for the sensation. They'll simply create a tool for you to unlock the bootloader of your device. But don't expect more. That's great news! Make a review of Jelly Bean running on SGS2! God bless Samsung. I bought my phone with Android 2.3.3 on it, and now I can enjoy 4.1.2 with S3 goodies. Sony is yet to upgrade even their 2012 devices to JB.. 2011 is a pure no No from them i think. Can't wait until it rolls out on Sprint OTA! This is awesome, Samsung has become the best at updates. i am from india I flashed the spain JB Rom. All is fine now my s2 is super fast. Thanks samsung. @evanef7 Download and install rom on your device through odin. go to sammobile firmware page and download the rom first. How times have changed, Samsung's strength of today used to be HTC's. I used to love HTC phones for this reason but now Samsung has replaced HTC for me. I still have my sgs2, unfortunately kies doesn't work for me. Have you tried force stopping it or clearing out the cache? If that doesn't work, maybe you need to update it or just uninstall it and then re-install it. Not sure what you mean, but when I try using kies I get some error about usb debugging being unchecked even though it is. So frustrating, I'm still on gingerbread. Wth! 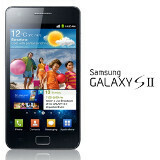 The galaxy note i717 should get it first!! Why? The Note wasn't Samsung's flagship device that sold tens of millions of units. The Note was more like a, "Let's see what happens," kind of thing. Of course the S2 would get it first. Review the s2 with jb... And s advance too..